Do you think it’s easier to sell something, over and over, to different people, or, to sell something once and have that same purchaser pay you each month? Yep, you guessed it right. The second. Not having a source of recurring revenue has been the curse of many successful businesses who were looking to get bought or that got into a crisis of results and never got out of it. Having a more predictable source of income every single month, helps you indeed to know better how much you can re-invest, and have an eventual advantage over your competitors that cannot afford to predict so sure how their next month will be. Nonetheless, it contributes to making your business more attractive for investors or in case you’d like to implement an exit strategy. If you would try to ask a seven figures e-commerce owner who is trying to scale his business what are his major problems, chances are among the ones he’ll tell you; there’s getting one-time customers to buy repeatedly. This problem’s less relevant for smaller e-commerce, but still is an excellent point to start thinking about it sooner than later. Recurring revenue also dramatically reduces the effort you need to acquire a single customer over and over, and all these customer acquisition costs you save can be reinvested on your product/service, better customer support, hiring more talents, and so on. But how do you get this Holy Grail of Recurring Revenue? Keep reading this article to discover it. A membership site it’s usually a monthly membership which offers content only accessible to a particular audience and which aims to solve a specific audience’s problem. A service from Amazon which includes free and fast shipping for products, and music, movies, and cloud storage services. 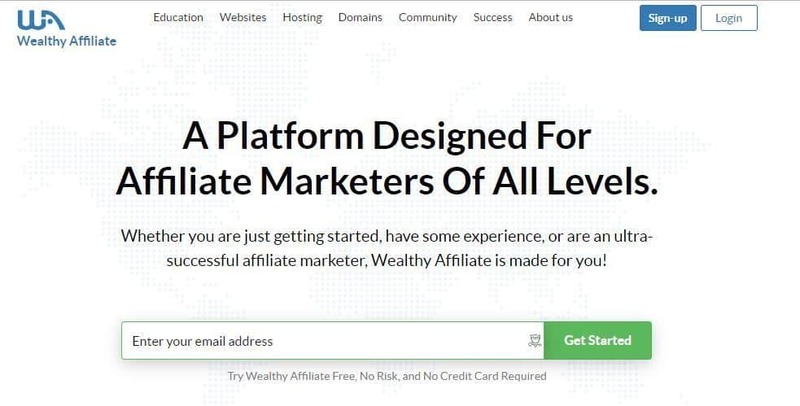 A membership which helps budding affiliate marketers start earning money online providing courses, support, and a vast community of like-minded. I’m a proud member of The NicheHacks Insider membership. It offers not only top-notch content and reports aimed at people willing to succeed with an online business but also the support from Stuart Walker and other like-minded. Similarly to the NicheHacks Insider membership, Nichepursuits offer locked contents and support from wildly successful online entrepreneurs. Targeted at “Men with ambition,” Mike Dillard’s “Self Made Man” membership provides classes and interviews with successful “self-made man” and a community to ask questions and get peer support. Online courses, usually updated monthly which offers access to content aimed at letting you achieve a particular goal or result, traditionally paired with a community and support. A set of no B.S. and action-oriented blueprints, paired with a mastermind/group were to ask for support with the goal of letting you start a successful online business. A tested and step-by-step course that teaches how to start and grow an online business even if you don’t have an idea yet. Whether printed or digital, newsletters and magazines are full of insights, tips and strategies every month about a specific field. A monthly digital newsletter which helps beginners cryptocurrency investors to navigate into what it’s best to invest on that month edited by large crypto investors such as James Altucher himself. Agora it’s a leading offer of monthly newsletters, with more than 100s newsletters in different fields (from stocks to tech and beyond.) It is a $1+ bn business. Tools, software, and services simplify our life letting us automate specific tasks or save time from tedious work. You pay to continue using them and get updates. SEMrush also gives you a good look at potential competitors and keyword research. A membership which includes extremely powerful plugins designed to help you increase revenues of your business. A powerful and easy to use landing page builder (internal link) which includes templates and funnels ready to apply to maximize your revenues. A service which offers reliable website hosting and domain name registering, helping you keep your site online and load fast without any hurdles. A mastermind group is a community of like-minded giving support to each other and created to network and get peer support. Coaching and mentoring services offers help and specific advice from experts on a topic to people looking to learn more, get support, and accountability. Monthly programs or blueprints, mainly works well in DIY and hands-on niches like arts and crafts, or targeted niches such as diets and nutrition. They deliver every month to your particular door products around a particular topic. It particularly fits e-commerce. The Nomadik Subscription Boxes are carefully curated to provide quality, durable outdoor and adventure products. It is now your turn to set recurring revenue in your business. Think about what are your target market’s most burning needs and problems, what are the questions that you get asked the most. Almost everytime and in every niche, you can find a way to solve that problem offering an ongoing product or service which will not only benefit your business, and most importantly your clients.